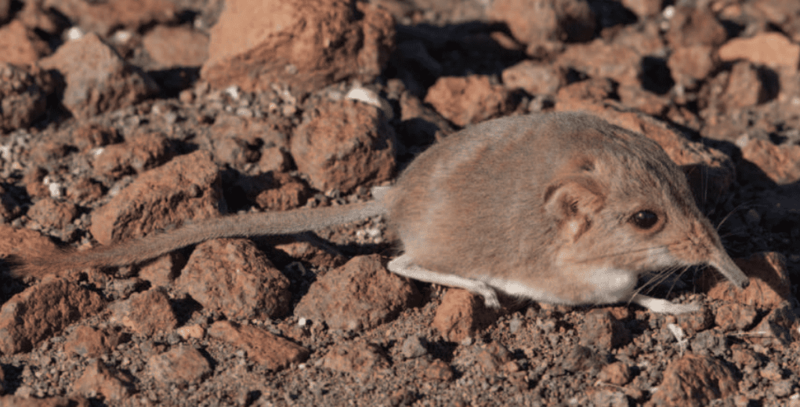 A new mammalian species has been discovered among the ancient volcanic formation in Namibia that resembles a long-nosed mouse, but which as it turns out is more genetically related to elephants. Further analysis found that the tiny mouse-like creature is the smallest of a group of animals called elephant shrews. Named Macroscelides micus, the creature sports red fur to help it blend in with the color of its rocky surroundings, measures 7.5 inches (19 cm) in length (tail included) and only weighs roughly an ounce (28 grams). It’s tiny ball of fury delight, made even more adorable by the fact it’s most closely related to an elephant according to genetic analysis. The only visible link between the two, however, is the shrew’s trunk-like nose. It doesn’t end here, though. The elephant shrew is related to other animals as well, this time in behavior and physique. The newly discovered animal can be likened to an antelope because of its spindly legs relative to its body size, and because it hunkers down next to bushes to sleep rather than burrowing. 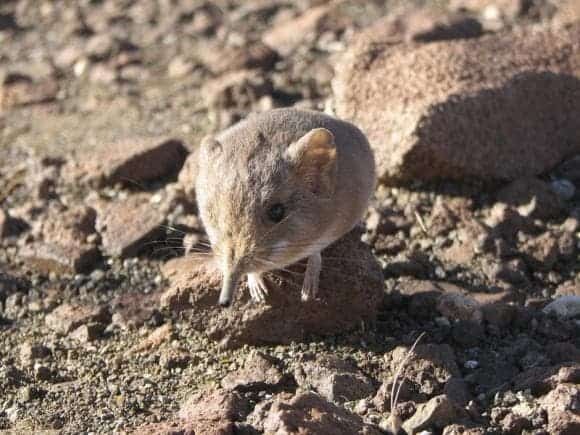 Also, concerning its hunting patterns, the elephant shrew behaves like an anteater using its extended nose to sweep the ground in search of ants and other insects. The creature was described in a paper published in the Journal of Mammalogy.